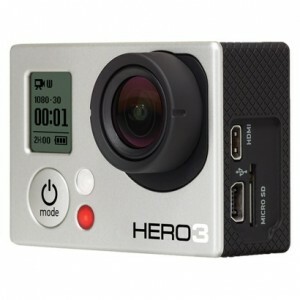 Today only, Walmart has the GoPro Hero3 White Edition w/Gift Card Sale Priced for $199.99 with Free Shipping. Also includes Free $25 Gift Card (auto added to cart at checkout). Buy online and pickup in store at most locations. (Camera only, no waterproof housing) Sells for about the same without the gift card elsewhere. 1 year warranty. Main difference from HERO3+: HERO3 does not capture the higher quality 1080p60 and 720p120 video. These high frame rates are of interest to higher end videophiles. GoPro recently filed to go public.